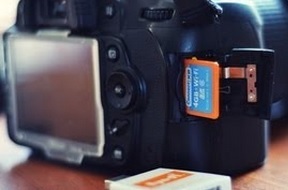 Wireless SD cards are very useful in cases when wireless is not built into a device such as a digital camera. They can share the information they hold with multiple device such as a laptop, tablet, or smartphone. When first introduced the prices were high but have since come down and now cost about twice a standard SD Card. The prices continue to drop and can provide a real affordable solution to sharing files over WiFi. The main advantage of a WiFi SD Card is ease of use to transmit information to multiple devices without having to physically remove the card and install it into another medium. SD cards come in three sizes standard-size, mini-SD, and micro-SD. Standard SD cards are the original ones produced and the largest sized. They are used widely in digital cameras and older tablets. MiniSD is the least common sized SD Card. Originally they were to be used with smartphones but were replaced by the smaller micro SD Cards. MicroSD Cards are the smallest and are mainly used in smartphones and tablets. There are adapters that can convert a microSD card to a standard or mini sized SD Card. Currently WiFi micro-SD cards dont work well as standard size since they are to small to hold the necessary electronics. Most WiFi microSD advertised will ship with a standard sized SD converter to enable WiFi. This makes them useless for micro-SD devices. When buying a micro-SD WiFi card be sure it doesn’t simply have a standard sized converter that it slides into. When it comes to capacity bigger is not always better as some devices can only support certain sized SD cards. Most devices can easily handle a 8-16 GB SD card while newer devices can support bigger 32-64 GB cards or larger. Be sure to read the documentation for the device you plan to use the SD Card in for the max size it can use. If you are unsure than stick to a smaller 8-16 GB WiFi SD card. SD Cards come in different classes that define how fast they can read and write data. There are four different class 10, 8, 4, and 2. With class 2 being the slowest and class 10 being the fastest. Class 2 is used for devices that don’t need a lot of speed when media is written to it. This is fine for digital cameras when only pictures are taken. Class 10 is better when video is written to a SD card since they can write data much quicker. There is a new faster class called UHS which can move data much quicker. Wear leveling is when data is not written to the first open sector on a SD card over and over. Wear leveling spreads the read/writing to a card to other sectors which extends the life of a SD card. How do Wireless SD Cards Work? Wireless SD cards are inserted into a device as any non-wireless SD card would. Software is than loaded on a computer or a app for tablets and smartphones that connects to the WiFi SD card to transmit data. Some manufactures use proprietary protocols that only work with their SD cards. While other use standard WiFI protocols that turn the SD card into a WiFI hotspot. The Toshiba Flash Air II is a standard size Class 10 wireless SD card. It can transfer data to laptops, tablets or smartphones. This is a standard size class 10 wireless SD card. It is compatible with most devices that have a stranded SD card slot. It also has encryption built in to protect files as they are transferred.